Gilkey's Team Wins FLAA Curriculum Challenge Award - Michael A. Gilkey, Inc.
We’re fortunate enough to have won several distinguished awards over the years for our work in the residential landscape architecture sector, and each of them is special to us. Our latest achievement, however, is a little different–and it’s one we’re exceptionally proud of. 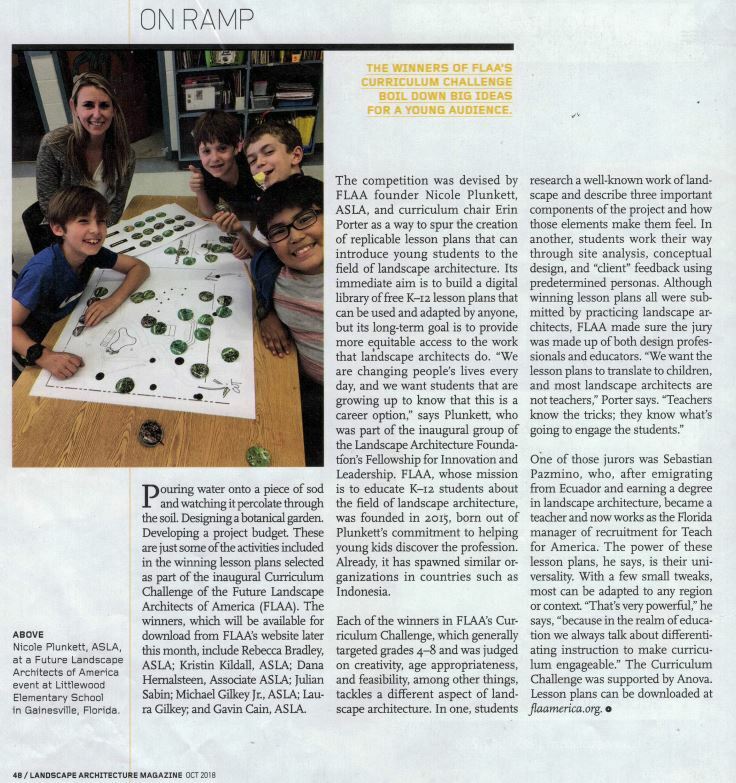 The Future Landscape Architects of America (FLAA) is a non-profit organization focused on educating K-12 students about the field of landscape architecture. Their “Curriculum Challenge” Contest was announced at the perfect time for our firm. 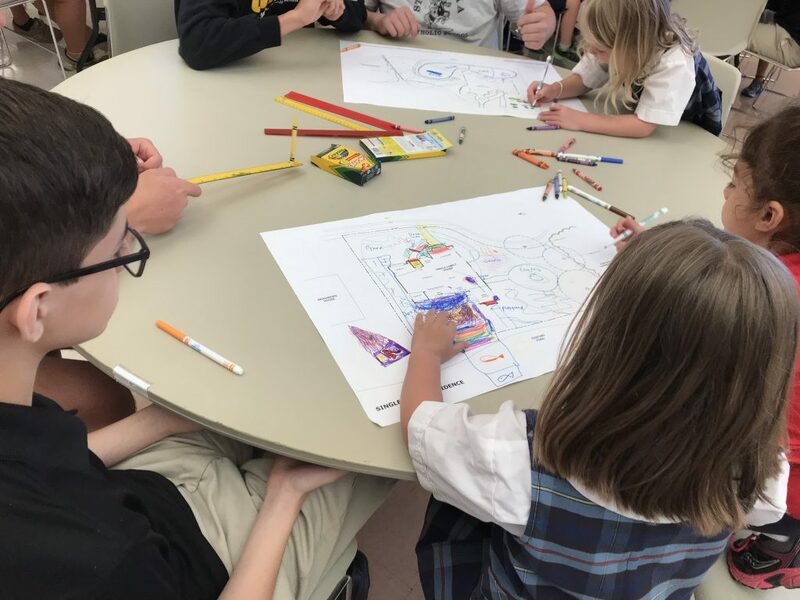 We had just completed an exercise for the Pre-K, Kindergarten, and 5th Grade students at St. Martha’s School. We were happy to submit our lesson plan to FLAA, and we’re thrilled that they found it worthy to share, and to celebrate. It was also wonderful to see this recognition in Landscape Architecture Magazine, the premier publication for our profession. We understand the value of educating even the youngest children about the importance and creativity of landscape architects, and we hope to see some of their faces as our colleagues in a few years! Our lesson plan and Curriculum Challenge entry is available to download here. Thank you FLAA!